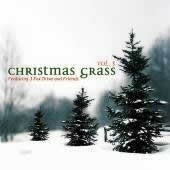 This CD has some of the all-time greatest Christmas songs ever written! Hosted by 3 Fox Drive, who deliver outstanding lead vocals to 5 of the 10 songs included, and harmony vocals that are unmatched in any musical genre, this CD also contains performances by John Cowan, Sonya Isaacs, Sarah Jarosz, Russell Moore and Larry Sparks! There’s also a recitation by Charlie Daniels on the closing track, ‘Watching Over the Soldiers at Christmas’, a new song written by Dennis Morgan and Kim Fox! This is a ‘must have’ for anyone who enjoys Christmas songs! !